It can be annoying if your making copies and get lines or streak on your copies! If this is happening it may be time for some routine cleaning. You should do this about often so that you do not have to experience this again. It will save you money in the long run. Think about all those finger prints from everyone in you roffice using the copier! There could also be ink leaks when changing the toner just by someone changing it wrong or getting it on their hands and then touching the copier. Lift the Scanner lid on top of the copier. Look for the big square glass panel as well as the small clear strip. Clean both these glass parts with a towel and glass cleaner if you have it. If you do not have glass cleaner then mix water and a small amount of dishwashing liquid. Do not apply cleaner directly onto the glass. Make sure it’s completely dry by wiping again with a towel. 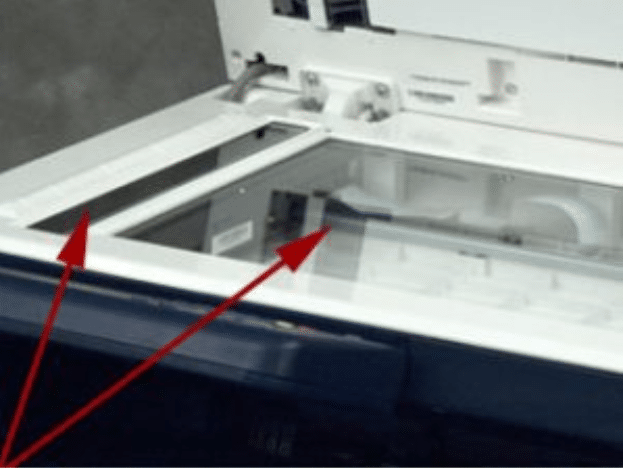 To make sure that you do not have this issue again you can clean your copier about once a month. If it happens before that time, you should clean it when it occurs. If you have any other questions regarding your copier, feel free to reach out to us and we can help you with any questions or concerns.